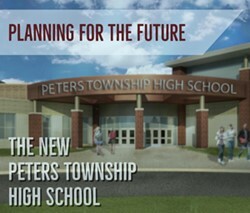 In 2016, Peters Township School District began the process of examining the long range plan for our District facilities. The Board of School Directors completed a comprehensive High School Feasibility Study, as well as a District-wide Facilities Assessment. In addition, a long range demographics study was conducted to inform the process.